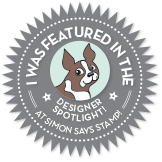 So for this weeks Simon Says Stamp Monday Challenge: School or Study Related, I was at a bit of a loss. So I decided to interpret it slightly differently. I wish I had remembered to take before pictures. I started with an old German book from 1859. The covers and spine were falling off, it was pretty shambled. I had originally bought it just to use the pages out of it. However the thought of doing an altered book always appealed to me. So I decided that this weeks challenge would be a good time to try that out. It took me a couple days if gluing and pressing to get the spine and covers all together and working again. Then the fun began. I took a handful of fun antique steam punk style washi tape rolls, I then started at the top and did one after another going down the book, starting on the inside of the back cover and wrapping it around. Once I got that all done I took Tim Holtz antique collage medium and worked it over the covers and spine. To not only seal the washi tape, but to try and keep the aged look of the 150+ year old book. Then I took some cloth textured paper and went on the inside cover over the first page, to help reinforce the book, and to make sure the washi tape didn't decide to work it's way up. Then I stamped the quote on the same paper I used on the inside covers. Tore it out and adhered it with the same collage medium that I did the washi tape. I then added the small clock charm. Finally I went hunting for something to do out the spine. At first I looked for a good phrase or title, and finally decided that I would use the old studded spine idea. So I found some small metal embellishments and suited the purpose and measured it out and glued them on. I am overjoyed at how well this turned out. I can't wait to continue arting through the book. I hope that you all enjoy it, and that it fits the theme ok. I love, love, love it!!!!!!!!!!!! Yes, I wish you had taken a before picture also. It's fabulous redone and the studs on the spine are perfect!!! Totally great job, Kid-O!!! !